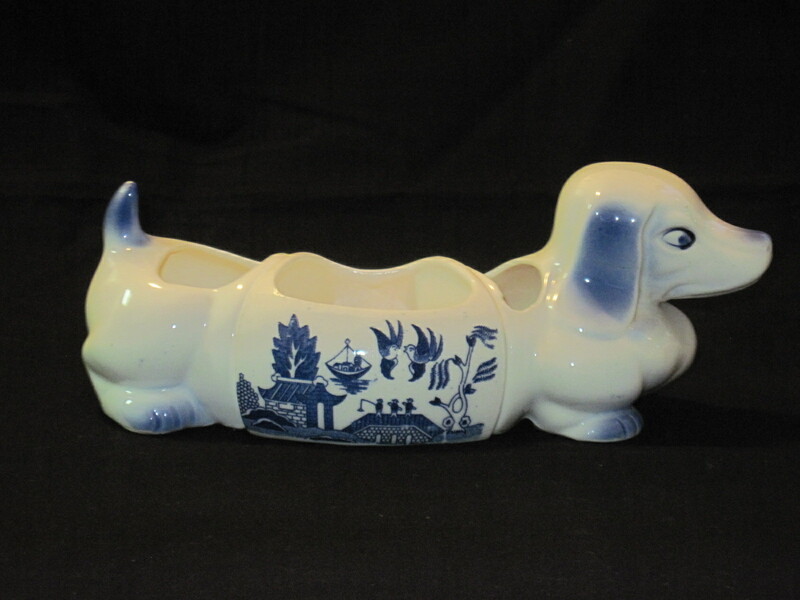 Very cute plant holder or posy holder, shaped like a dachshund. 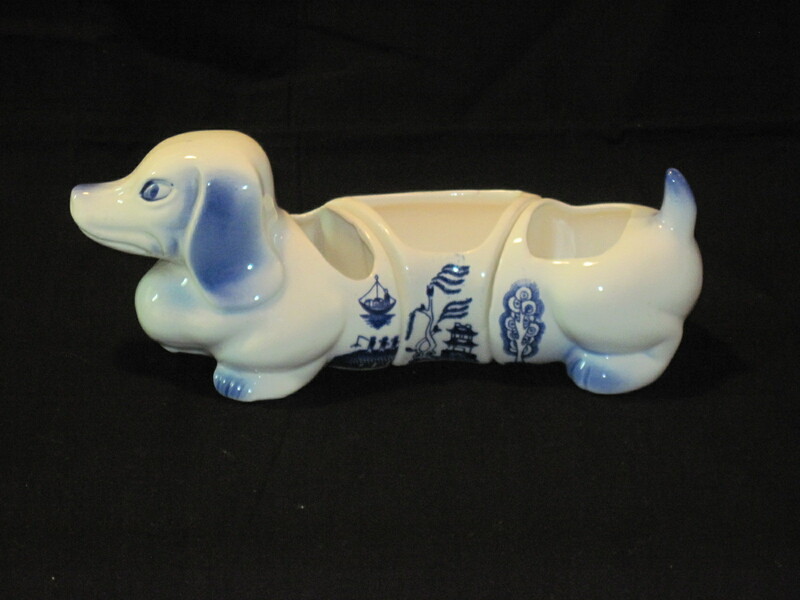 I didn’t realize it at the time of purchase, but this is missing 2 pieces in the center which are also curved and have the blue willow pattern on them. I found a few of these planters on ebay that were selling for around $45.00. It still looks cute as all get out and is still functionable as is. Probably from the 1960’s. This item can be found at my booth at the Almonte Antique Market, 26 Mills Street, Almonte, ON just 30 minutes west of Ottawa. Open 7 days a week, from 10am to 5pm, all year round. The market houses over 50 different vendors in one convenient location. Priced at $12 due to the fact that it is missing pieces. Please note that this iem is now SOLD!!! ← Boardgame ‘Go For It’ 1980’s by Parker Bros. I am a collector and seller specializing in vintage kitchenware and have a booth at an antique market in the quaint town of Almonte, Ontario.